Never Heard Of Google Cloud Vision? Let’s start with answering the question many of you have probably heard before — what is the Machine Learning? Pretty accurate, right? And obviously quite useful, so let’s play more. What Can You Get From Google Cloud Vision? As I’ve mentioned above, Google Cloud Vision it’s not only about recognizing text, but also it lets you discover faces, landmarks, image properties, and web connections. With that in mind, let’s find out what it can tell you about web associations of the image. Okay Google, do you actually know what is shown on the image you received? Good job, Google! 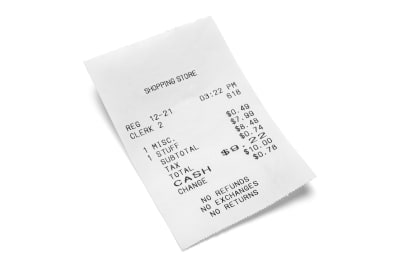 It’s a receipt indeed. But let’s give you a bit more exercise — can you see anything else? How about more predictions expressed in percentage? Lots of valuable insights, well done, my almighty friend! Can you also find out where the image comes from and whether it has any copies? I’m impressed. Thanks, Google! But one is not enough, can you please give me three examples of similar images? Is There Really An Artificial Intelligence In Google Cloud Vision? 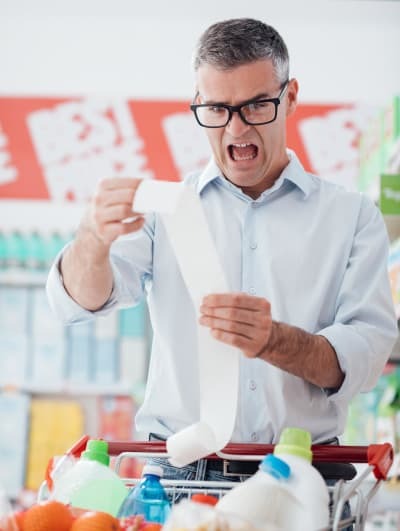 As you can see in the image below, dealing with receipts can get a bit emotional. Let’s have a look at what the Vision API can tell you about this photo. Not too bad, the algorithm is more than 50% sure that there is a face in the picture. But can you learn anything about the emotions behind it? Surprisingly, with a simple command, you can check the likeliness of some basic emotions as well as headwear or photo properties. When it comes to the detection of faces, I need to direct your attention to some of the potential issues you may encounter. You need to remember that you’re handing a photo over to a machine and although Google’s API utilizes models trained on huge datasets, it’s possible that it will return some unexpected and misleading results. Online you can find photos showing how easily artificial intelligence can be tricked when it comes to image analysis. Some of them can be found funny, but there is a fine line between innocent and offensive mistakes, especially when a mistake concerns a human face. With no doubt, Google Cloud Vision is a robust tool. Moreover, it’s fun to work with. API’s REST architecture and the widely available Python package make it even more accessible for everyone, regardless of how advanced you are in Python development. Just imagine how significantly you can improve your app by utilizing its capabilities! The scope of possibilities to apply Google Cloud Vision service is practically endless. With Python Library available, you can utilize it in any project based on the language, whether it’s a web application or a scientific project. It can certainly help you bring out deeper interest in Machine Learning technologies. Google documentation provides some great ideas on how to apply the Vision API features in practice as well as gives you the possibility to learn more about the Machine Learning. I especially recommend to check out the guide on how to build an advanced image search app. One could say that what you’ve seen in this article is like magic. After all, who would’ve thought that a simple and easily accessible API is backed by such a powerful, scientific tool? All that’s left to do is write a few lines of code, unwind your imagination, and experience the boundless potential of image analysis.